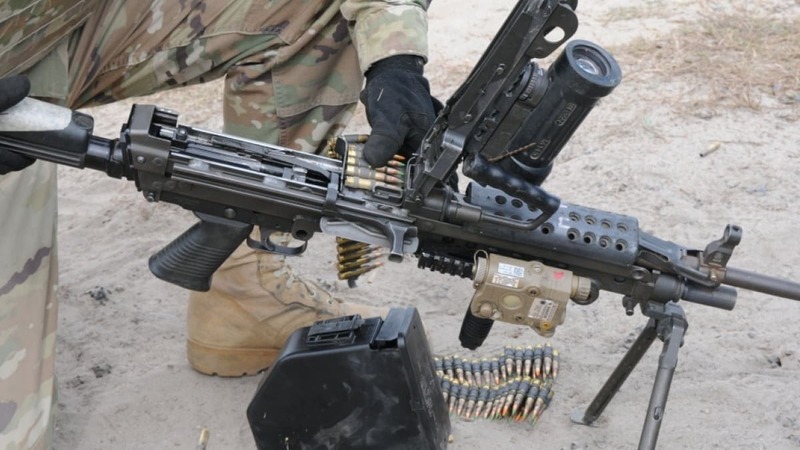 All signs point to the U.S. Army moving to replace most of its 5.56mm weapons with new 6.8mm-caliber firearms as part of a sweeping modernization program. Chief of Staff of the Army Gen. Mark A. Milley, followed up on the request for proposal by telling reporters during the Association of the U.S. Army’s Annual Meeting and Exposition last month that a number of designs were advanced forward for testing following an earlier request met by four companies — AAI, FN, General Dynamics, PCP, and Sig Sauer — for prototypes. Brig. Gen. Anthony Potts, the program executive officer in charge of PEO-Soldier, last week said that the new systems are likely to be evaluated in June 2019, and in a nutshell, the Army is looking to step up its effective range and energy currently delivered by 5.56mm loads past 300 meters. “It is one of the critical factors that will define the next generation squad weapons, both the automatic rifle and the rifle,” said Potts. Rather than mandating an off-the-shelf design, Potts said the development program will stress that the companies propose an automatic rifle, a rifle and a common cartridge for both. In past generations, the Army has flirted with similar caliber rounds, such as the .276 Pedersen — which the M1 Garand was originally chambered for –, .280 British and .256 Bang, but in the end, did not select the experimental calibers. The Army had used .30-caliber rifles as the primary arms for infantry and ground troops going back to the early 1890s when the Krag Model 1892 was adopted in .30 U.S. (.30-40 Krag), transitioning to the .30-06 which was standard through both World Wars and Korea. In 1959, the advent of 7.62x51mm NATO — for which the new M14 rifle and M60 machine gun were chambered — continued the trend until the M16 in 5.56mm began to replace the former after 1964. Though the 7.62x51mm is still in use as a sniper, special purpose and machine gun round, even those niches have seen encroachment from more advanced rounds such as .338 Norma Mag and .300 Win Mag. In 2017, retired Army Maj. Gen. Robert H. Scales testified before the Airland Subcommittee of the Senate Armed Services Committee, blasting the current M4 platform while calling for an open, one-year competition to develop a new and more effective rifle as part of the 2018 National Defense Authorization Act. That competition failed to materialize. The push to 6.8mm and platforms that use it comes as part of a larger effort to modernize the Army service-wide by 2028 to “build a more lethal force to retain overmatch in order to deter, and defeat if necessary, all potential adversaries.” That concept includes a next generation of field equipment, combat vehicles, aerial platforms, night vision gear, and weapons systems from small arms to long-range tactical missiles.